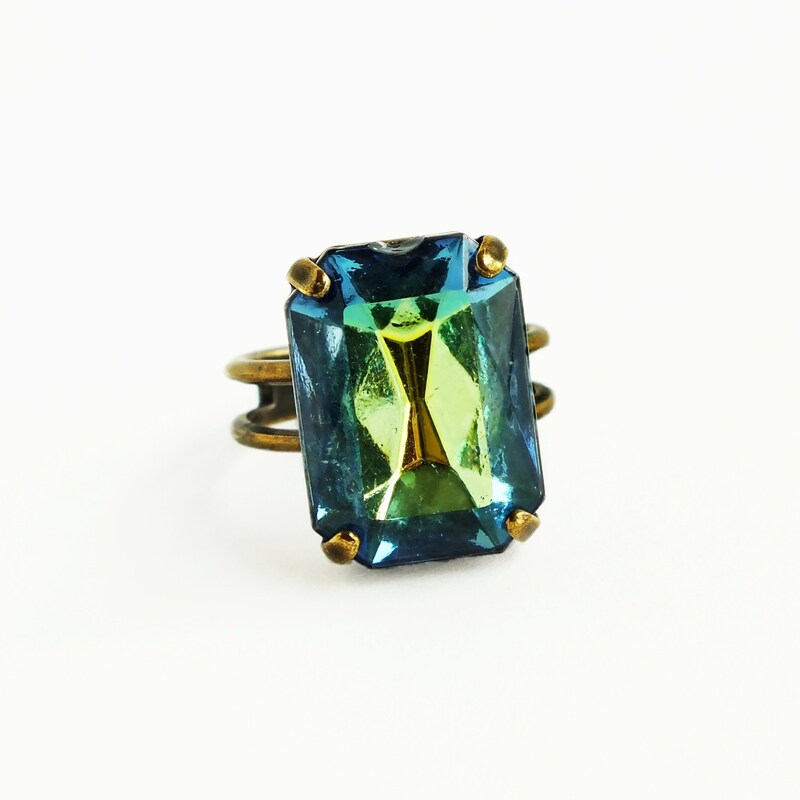 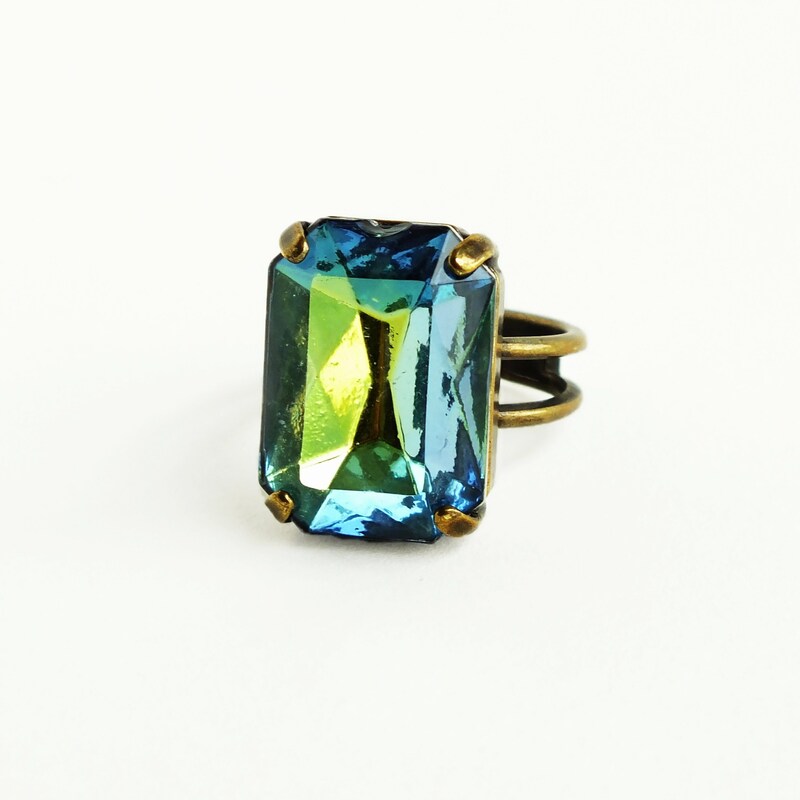 Handmade teal green glass ring with vintage blue green crystal rhinestone. 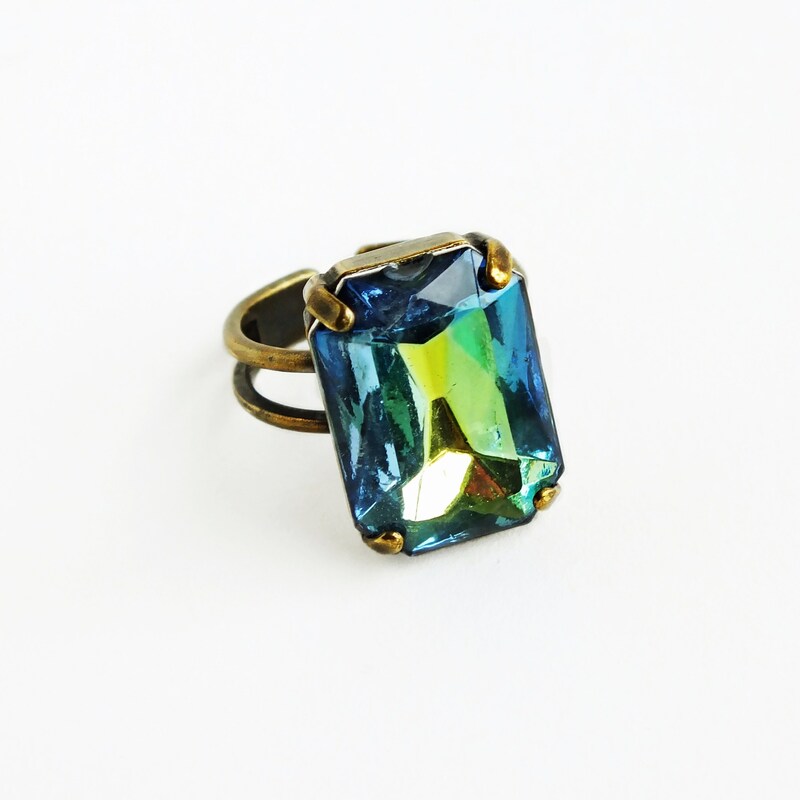 Eco-friendly genuine vintage glass rhinestone. 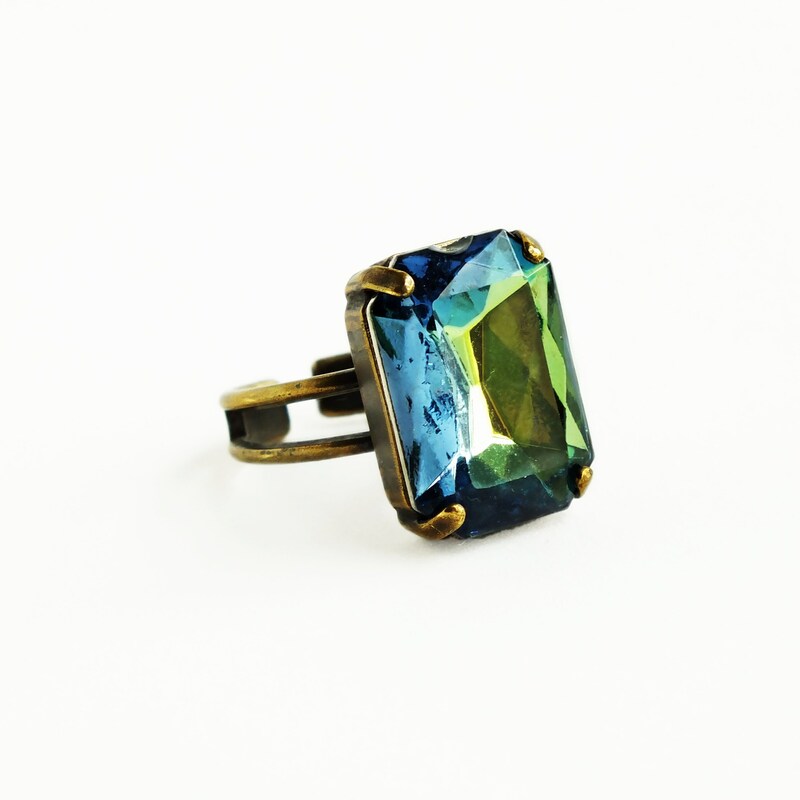 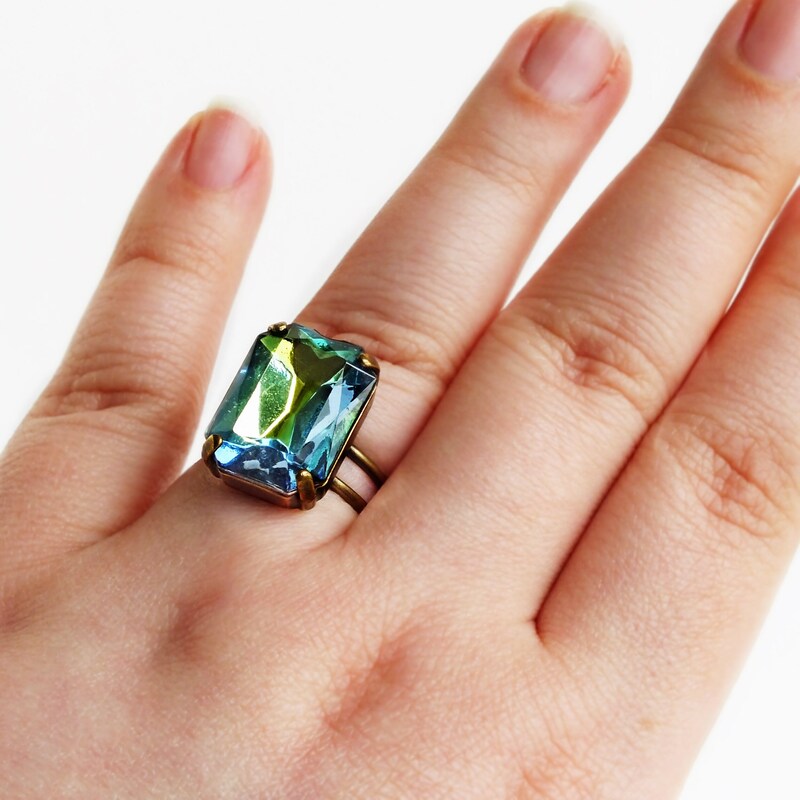 Statement cocktail ring made with a vintage octagon crystal rhinestone in a blue, teal and green palette.